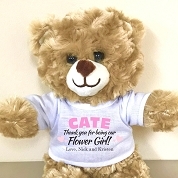 Ask a special little man to be a part of your wedding day with this adorable plush teddy bear! 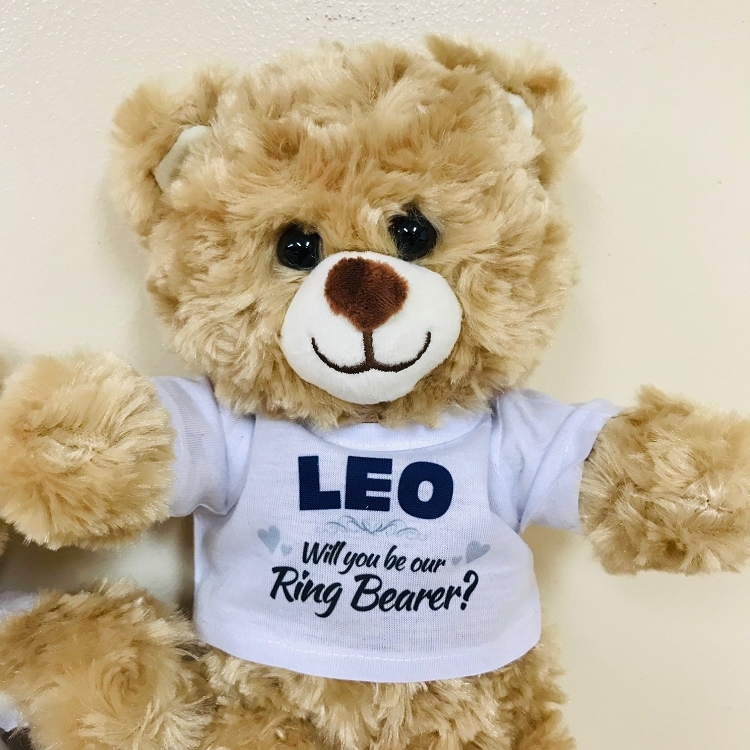 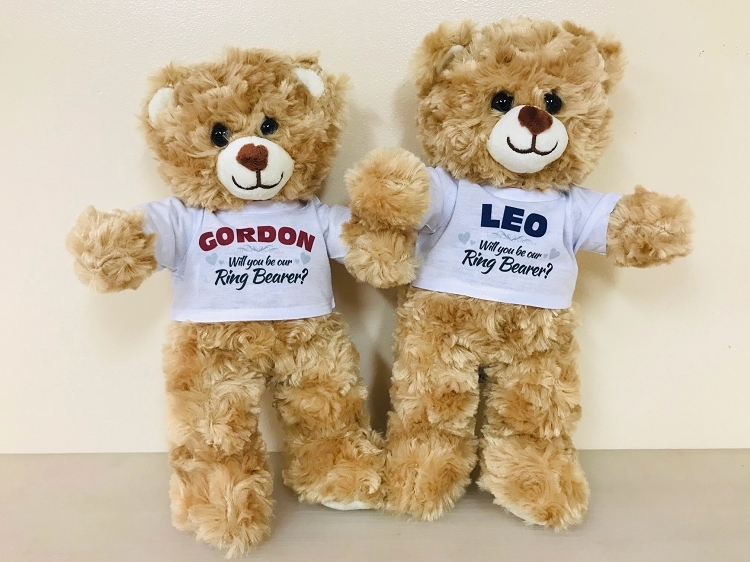 Our ring bearer proposal stuffed bear is the perfect size & comes personalized with a printed shirt that can be removed, or left on as a keepsake. 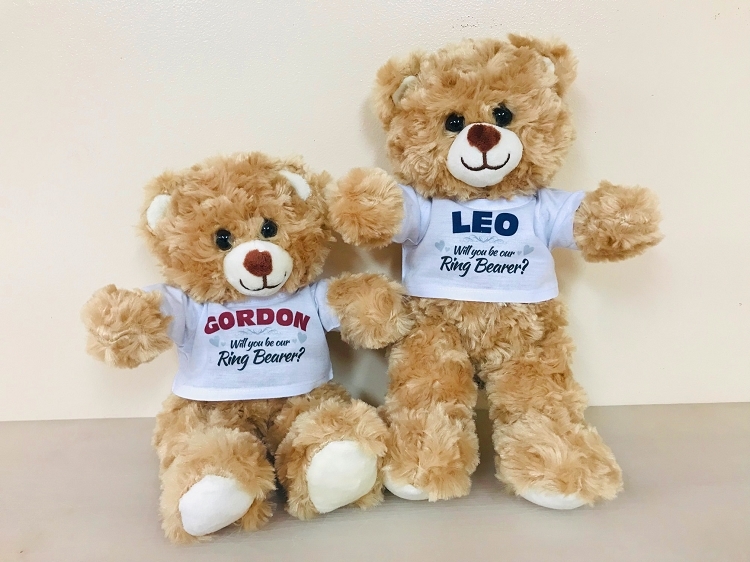 Customize the shirt with any name and color to match your wedding colors! 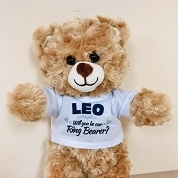 Bear standing measures 12" tall.